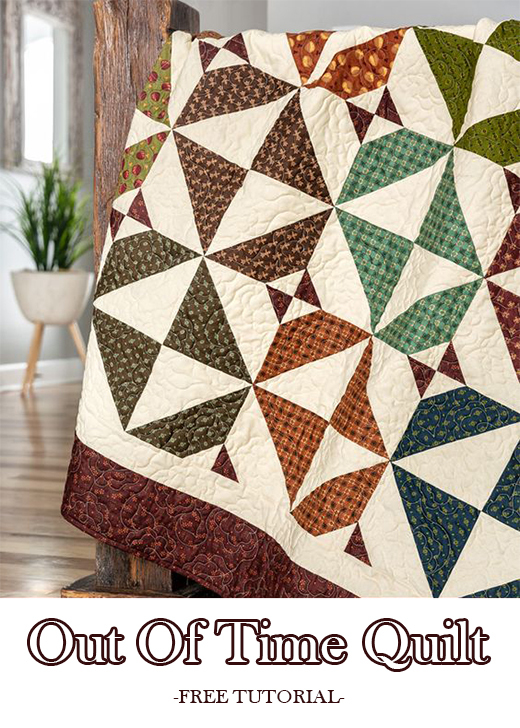 This Out Of Time Quilt designed by Jenny of Missouri Quilt Co, The Tutorial is available for free. Jenny Doan demonstrates how to make a quick and easy hourglass quilt using 10 inch squares of precut fabric (layer cakes). For this easy sewing project, Jenny used a pack of Wit & Wisdom 10" Squares by Kim Diehl for Henry Glass.